The beautiful Hawkweed is an invasive species so I found myself torn when looking at it, appreciating it's beauty at the same time knowing it was creating problems, crowding out the the wildflowers that are native to the area. I thought about calling this painting, "Invading Fog and Flowers". 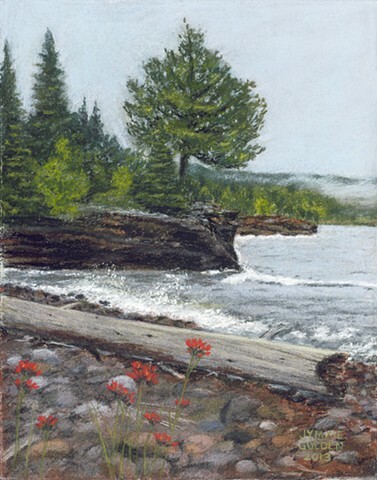 This is from a wonderful art retreat with friends on the fabulous North Shore of Lake Superior. One of my favorite places to be.